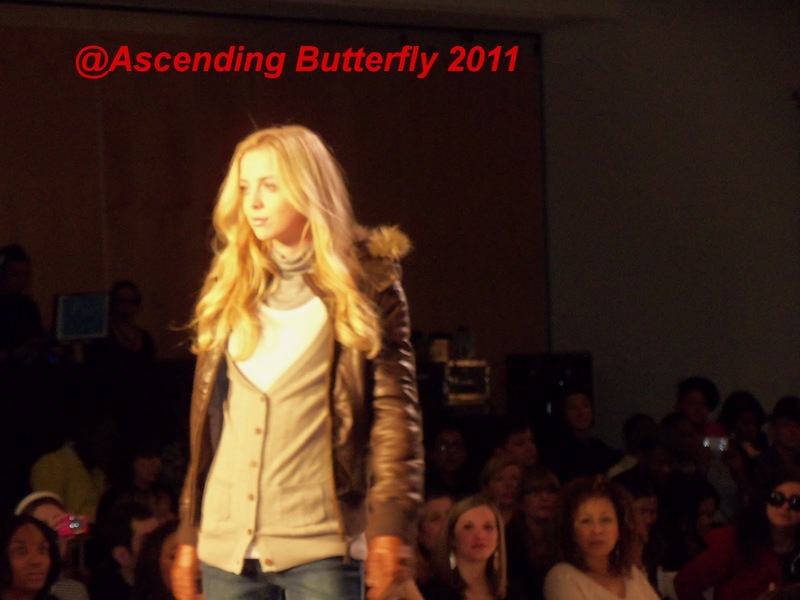 Ascending Butterfly: EMU Australia American Debut at STYLE360’s Fall 2011 Fashion Show! 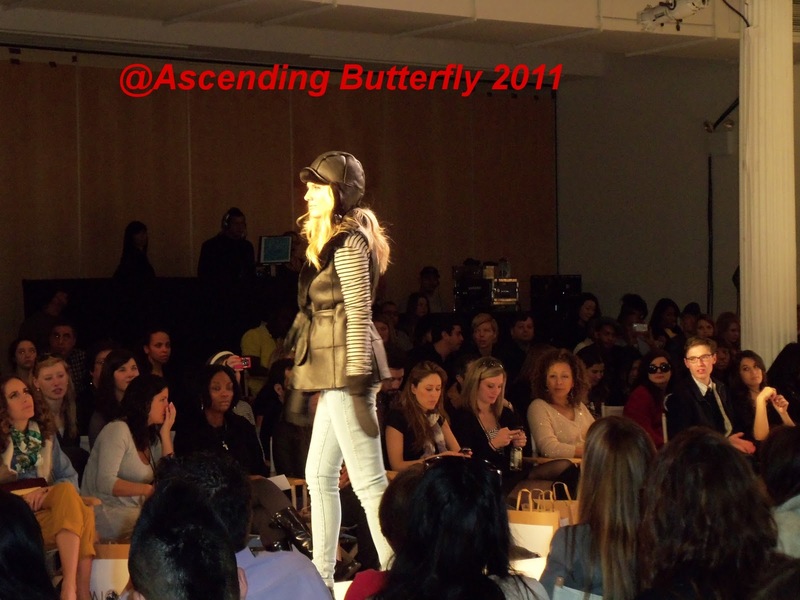 EMU Australia American Debut at STYLE360’s Fall 2011 Fashion Show! This social butterfly has been super busy lately and boy are my wings tired! 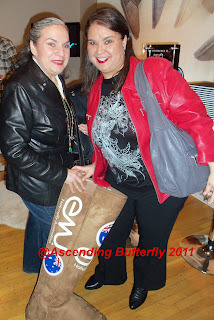 I had the pleasure of attending the STYLE360’s EMU Australia Fall 2011 Fashion Show today and it was great way to close out Fashion Week. There is something about cozy sweaters that bring out the best in everyone, it was one of the most 'approachable' of the NY Fashion Week events that I attended. I even saw a model smiling! Black Leather Vest, Definite Closet Staple! Emu's collection of vests, hats, sweaters, coats, boots and more leaned toward lighter colors which was a very nice surprise! (Although thankfully as a true New Yorker I did spot a lovely black leather vest that caught my eye, paired with a striped sweater, light wash denim and black ankle boots! Pictured Above!) 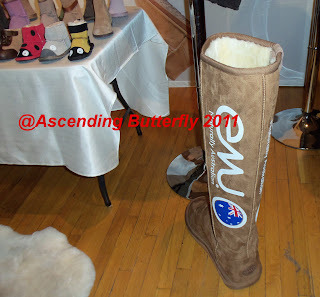 As you already know I'm a super huge fan of Sheepskin (and Leather), and having had the opportunity to both see and touch, I'm definitely digging Emu's comfy, cozy, soft vibe combined with an under-stated but no less 'casual-luxe' look! Who says Casual Can't be Cute? Additional sponsors and presenters included: Polaroid Eyewear, Trident Sugar Free Gum (they were giving out samples of the new Vitality Gum) Make Up For Ever, BabyBliss, BMW of North America (showcasing the X5 luxury SUV), AKA Hotels, and Pernod Ricard USA! Couldn't resist a shot of just the big boot! See the cute kid styles on the upper left? I am hoping that they will collaborate with us come fall, but in the meantime please visit Emu's Website directly to keep up with all things Emu Australia! Ascending Butterfly (right) and Bestie at EmuAustralia's 2011 Fashion Show! 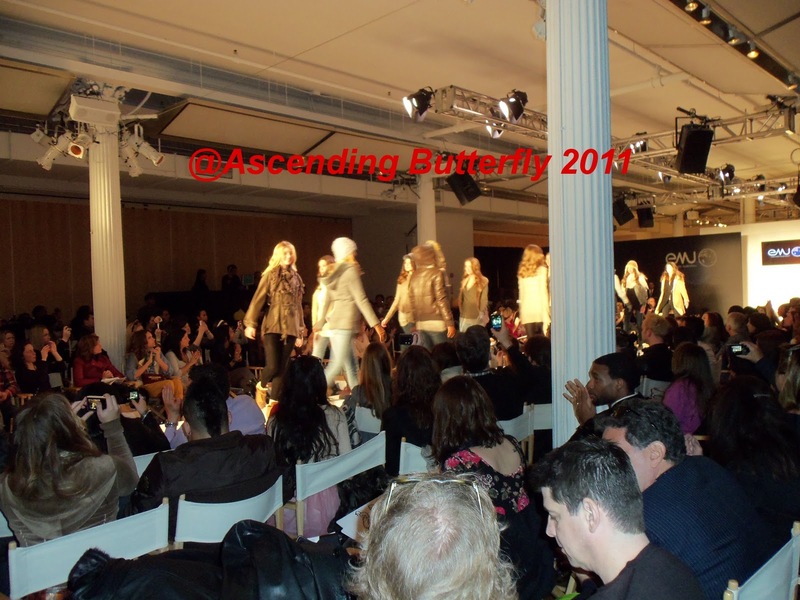 FTC Disclosure: I was only provided with entrance to this show, there was no monetary compensation, and I was under no obligation to write about it. I simply wanted to share my Fashion Week experience with my readers! How much fun was that!?! Following you back - sorry it took a bit - I am still not liking some of the Facebook changes! That must have been a fun day. I've never been to any fashion week event, but I love EMU, I'm a casual kind of gal, so I checked out their website and I love their NALOO: CHOCOLATE boots. Thanks for sharing. @East I know what you mean about the FB changes, I have to make sure I switch to 'admin view' to see new comments, very weird.